Unity has preserved some special names for folders like: Assets, Editor, Streaming Assets and Resources. Today we are going to talk about the last one. 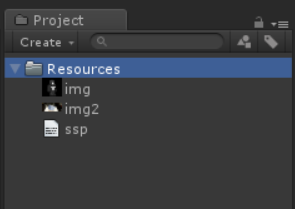 Unity allows developers to store Assets within one or more folders named Resources. Those assets can be loaded or unloaded at runtime using the Resources API. path - a path to loaded file. When you pass empty string as argument, this method will load entire contents of the Resources folder. systemTypeInstance - optional parameter. Type filter for objects returned. The path is relative to any Resources folder inside the Assets folder of your project. So when you have structure Assets/RobotsAssets/Resources/head.jpg for example, your path should look like that: Resources.Load("head"). Do not include the file extension names (.txt, .jpg, .fbx) in the path parameter. Usage of Resources system will increase application startup time and makes build time longer. It degrades a project's ability to deliver content to specific platforms. During rapid prototyping and experimentation because this system is simple and easy to use. When content does not vary across platfroms. Use Resources.UnloadUnusedAssets() to release memory and unload assets that are not used. Unity's Resources system is very helpful tool. However you must remember that you should use it only when it really necessary. Overusing of this system may cause increase of startup time and longer duration of building time.